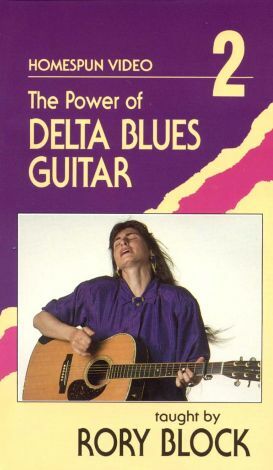 Guitarist Rory Block is the guide for The Power of Delta Blues Guitar, Vol. 2, an instructional program covering the Mississippi Delta blues. Offering lessons on such techniques as open tunings, treble melodies, bass runs, slides, and string bending, Block uses several delta blues standbys as training tools. The songs include "Fixin' to Die," "Love My Blues Away," "Leavin' Here," "When You've Got a Good Friend," and "My Train Is Waiting," as well as "The Water Is Wide," a traditional English ballad.